MEMPHIS, TN – March 12, 2013- Glankler Brown, PLLC is pleased to announce that Michael P. Coury has joined the firm as a Member Attorney. Coury concentrates his practice in bankruptcy and creditors’ rights law, business reorganizations, workouts, and business and commercial litigation. Coury is a frequent speaker on bankruptcy law and litigation, presenting at conferences sponsored by the National Business Institute, Office of the United States Trustee, American Bankruptcy Institute, Memphis Bar Association and Tennessee Bar Association. He is a former Director of the Mid-South Commercial Law Institute and the Memphis Bar Association, and has served on the Executive Council for the Tennessee Bar Association. 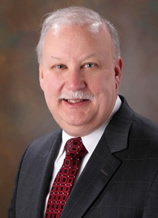 He is the current Director of the Tennessee Chapter of Turnaround Management Association.